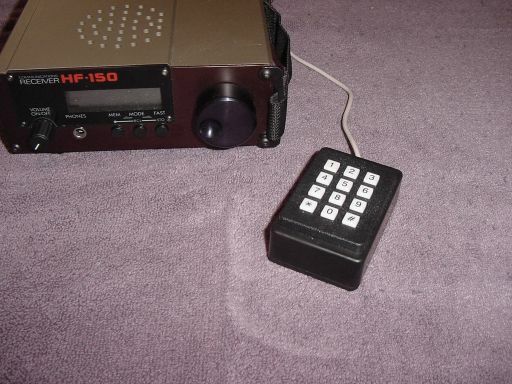 I am pleased to offer a Direct Frequency Entry Keypad for a Lowe HF-150 or HF-225 communications receiver. It is functionally equivalent to a KPAD-1, which is no longer manufactured and very scarce, and includes additional functions not available in the original model. This is a great enhancement to a fantastic radio! 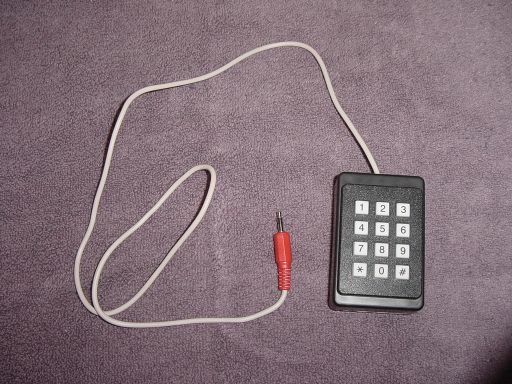 With this keypad, you will be able to move around the different bands and memories without manipulating the front panel controls and tuning knob! If you already own one of the Lowe receivers listed above, you need one of these to go with it! This device is homemade, and if not completely satisfied, I will refund all your money INCLUDING shipping. You've got nothing to lose! The HF-150 shown in the picture is for reference only, and is NOT for sale! I usually have one listed on eBay. The Price? $49 US. Shipping is $7.20 to anywhere in the USA via Priority Mail. Other areas, Shipping is $23.50. Send Paypal payment to dennis.hanley@gmail.com for prompt shipping!